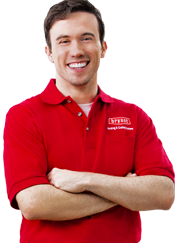 We are Bryant factory authorized, but service and repair all major brands of air conditioning systems. Since 1999, we have been committed to taking care of our customers in Toms River, NJ and surrounding areas. We offer comprehensive AC repair services, from minor fixes to emergency repairs, with as little disruption to your lives as possible. For all of your HVAC needs, trust the professionals at Air Tech. At Air Tech, our established and experienced AC repair team are not only NATE- and EPA-certified but also equipped to handle all repair jobs, big or small. With top customer service and a wide selection of parts and equipment for both residential and commercial properties, we are dedicated to helping you prolong the life and efficiency of your AC unit. Offering the most affordable HVAC services around, we value our customers and do everything we can to keep costs down without skimping on quality workmanship. When your AC is on the fritz, you want answers, and fast. 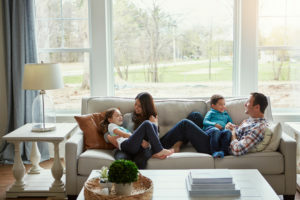 Air Tech has been in the HVAC business for many years, every spring and summer our team of air conditioning repair technicians in Toms River, NJ field calls from stressed out homeowners and business owners. Here are a few of the common AC repair questions we hear each year. How can I tell if my air conditioner is broken and needs repair? If your cool air has stopped flowing completely, check your thermostat first. If it’s blank, change the batteries. If it’s still blank after that, remove it from the wall and check for power; use a multimeter to check voltage. If you’re not receiving voltage, check the fuse box for any blown or tripped fuses. If everything looks good there, reset the AC connection by switching it on and off. If the thermostat still isn’t working, it may be time to check the warranty for replacement. If your thermostat is working fine, but the AC won’t turn on, try the following. Turn on the fan to double check the blower is receiving power, check the air filter as dirt and debris buildup can prevent precious air flow. If you still experience problems, call the AC repair technicians at Air Tech. Age: If your AC is older than 10 years old, it might be time to start considering a newer, more efficient replacement. Utility Bills: If energy bills are rising summer over summer, your AC might be losing efficiency and pointing to signs that it’s wearing out. Leaks: Refrigerant is not only getting more expensive, but the type of refrigerant your AC is going to need is also changing. The EPA has limited R-22 due to ozone concerns and is shifting to the more environmentally-friendly (and efficient) R-410A. Repair Costs: If you’re experiencing more frequent and costly repairs than usual, it might be time to consider replacement. AC units tend to freeze up because of either a lack of refrigerant or a lack of air flow to the evaporator coils. If your AC freezes up, turn it off or you could risk damage to the compressor. Then check the thermostat setting that it is not below 70 degrees, clean the air filter, ensure all vents are open and inspect the evaporator coils and fan for any dirt or debris. If refrigerant is to blame, call in the Air Tech professionals to have a look. My AC is leaking. What could be the cause? One functionality of an AC is to remove humidity from the air. A little bit of condensation is normal. A leak on the other hand is not normal and could indicate a problem such as a clogged condensate line, rusty or damaged condensate pan, dirty or frozen coils, low refrigerant level, lack of installation or dirty air filters. If you have any other questions about AC repair, contact us today. We’re always ready and willing to help.